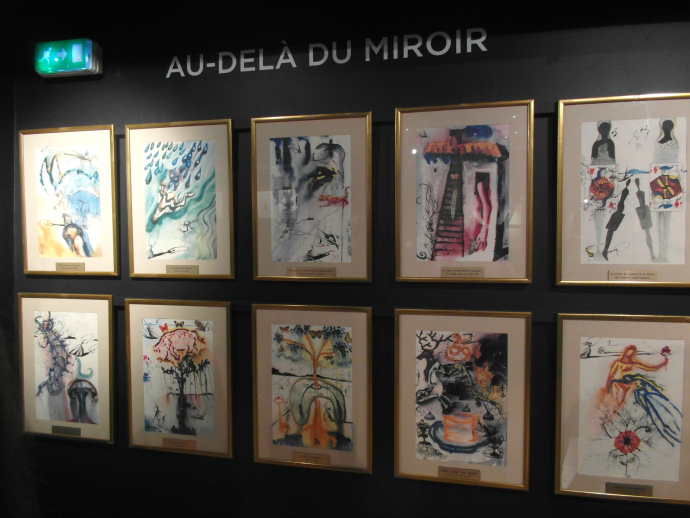 Located in Montmartre, the artists village in Paris, Espace Dali holds a collection of Salvador Dali's finest work in surrealism. 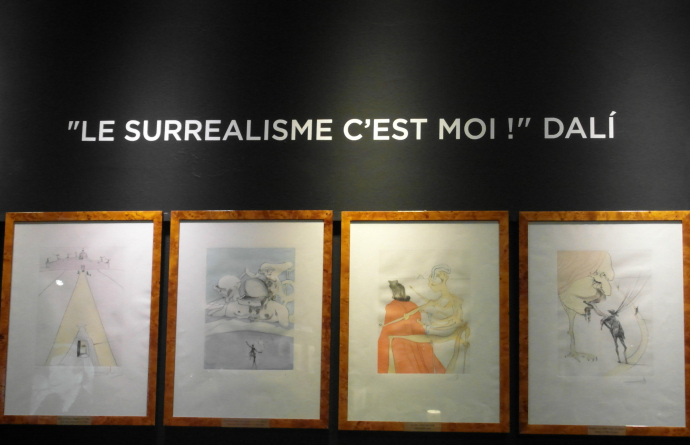 Having never previously explored Dali's work, my experience at this exhibit was truly magical. 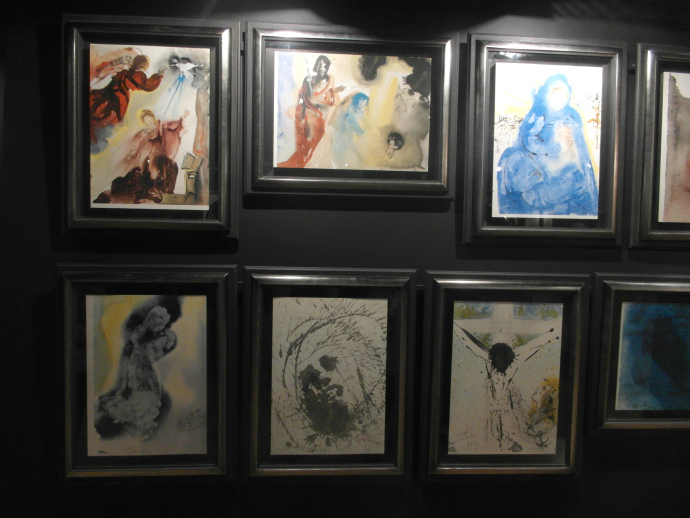 Each collection of paintings showed incredible imagination. Dali's use of dreamy watercolours and lighter tools created whimsical compositions, which contrasted beautifully with the strong symbolism and darker themes of his work. 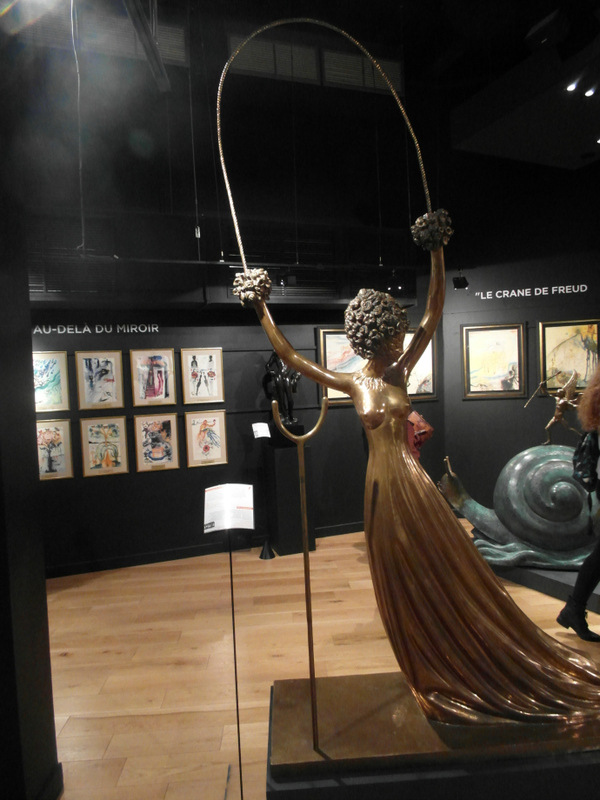 Dali was inspired by several stories, including Bible verses, Greek mythology, and even Alice in wonderland which is what the above sculpture is based on. 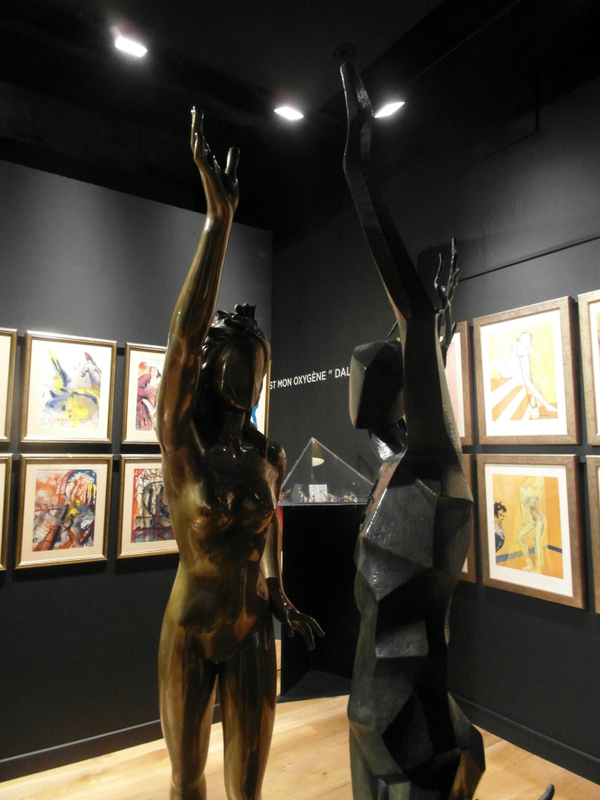 These pieces were based on Bible stories. 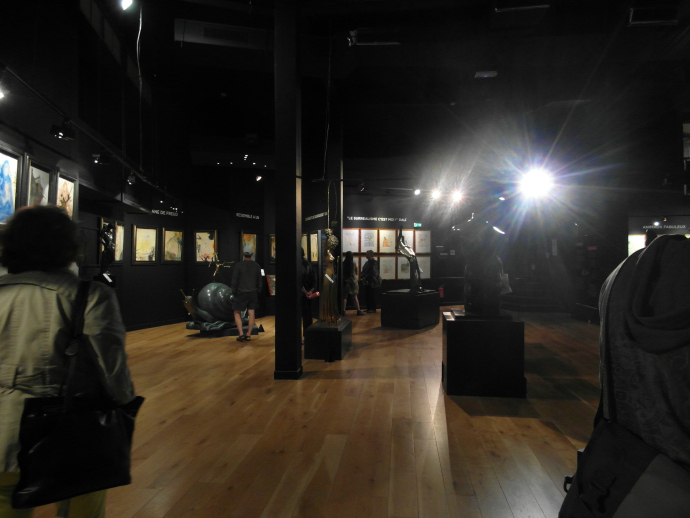 The gallery overall had a really mystical vibe. The combination of surrrealist art, bright lights and soothing whale music created this tranquil, magical atmosphere, which I'm sure Dali would have approved of. 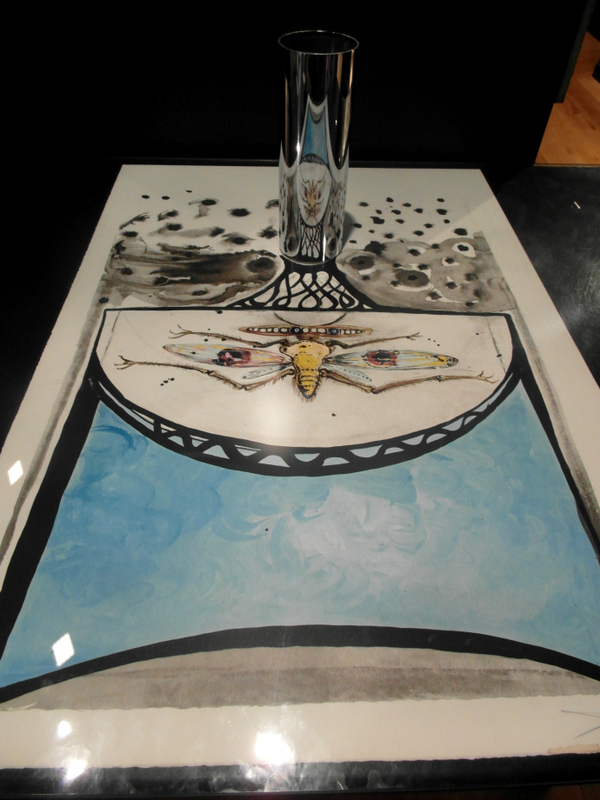 This piece is a use of Anamorphosis, the distortion of an image which then requires a mirror or other method to view its true form. It was a real 'omg that's awesome omg' moment among my friends and I. The sculptures were all crafted so beautifully. The above cathedral one is a clever optical illusion, and is not nearly as deep as it seems but is built to look like a real building. 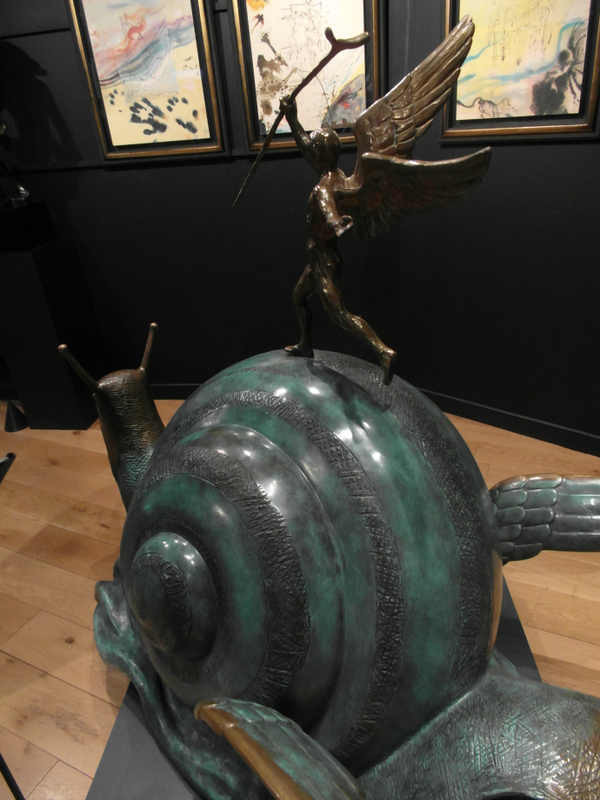 The surrealist theme of Dali's art had an element of child-like magic. Each piece defied reality like something in a dream or a children's story book. 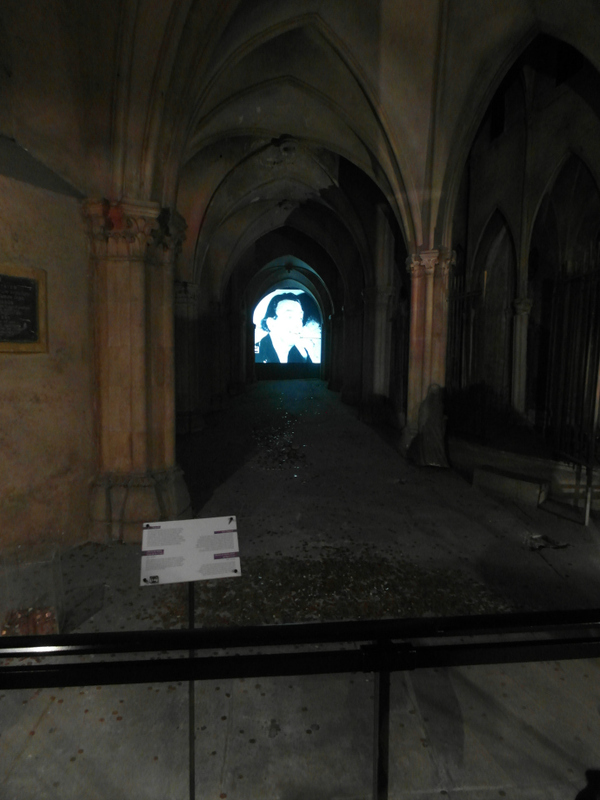 Overall the experience was wonderful, and should you find yourself in Paris, I definitely recommend it. Find details HERE. Can't believe I'm missing this exhibition ! 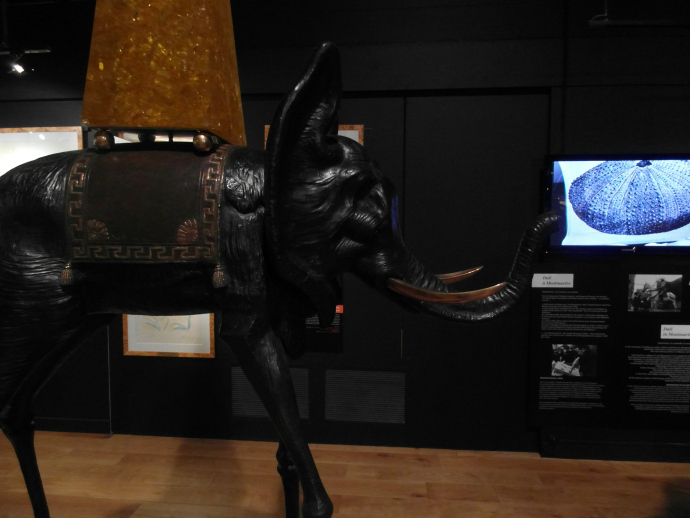 I adore Dali's work! Surrealism is such an interesting concept and really explores the complexities of the human mind. 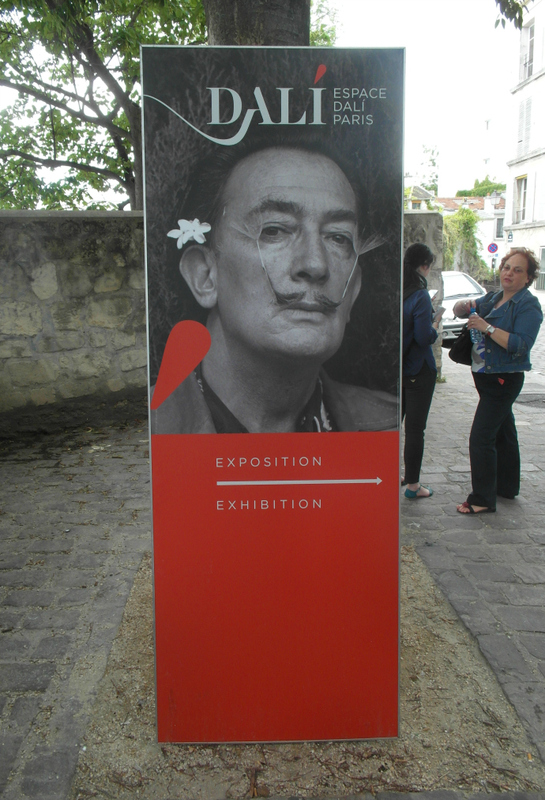 It sounds like it was a great exhibition, I wish I could've been there. And you're right, his art gives off such a magical feeling that brings an odd feeling of nostalgia with it. Wonderful post, really enjoyed reading it! Hope you're having a lovely day! !